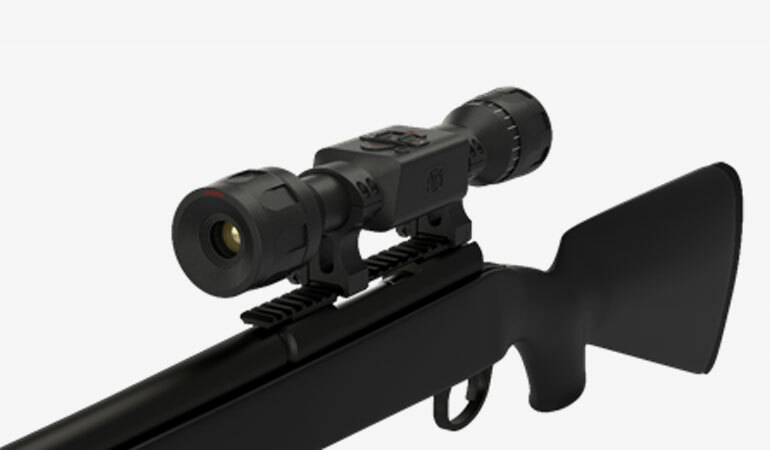 American Technologies Network (ATN) is the visionary of advanced night vision, thermal imaging and digital Smart HD optics for hunters, outdoor enthusiasts, military and law enforcement. A brand that you have come to expect to push the envelope with cutting edge technology integrated into its products. The ThOR LT is for the hunter who wants the advantage of a thermal scope, but at an affordable price point. No longer is thermal out of reach. Designed for close range target acquisition, this thermal is perfect for hog eradication needs and for hunting smaller game with your crossbow, rimfire rifle, or air gun. No need to burn through boxes of ammo just to get your thermal scope to zero. With one shot zero, all you have to do is move the zero reticle to your first point of impact. That’s it. Saving you a ton of time, money, and unneeded frustration! The advancement in our scopes power consumption is revolutionary for the thermal optics market. Our new internal battery gives you 10+ hours of power! This improvement in power consumption will stretch every single minute of your hunt out into the early pre-dawn hours. There will be no worries about not having enough juice in the battery to make it through the whole night without having to recharge. Built to withstand the pressures of high caliber weapons, light enough to maneuver easily with your crossbow, the Thor LT is made from hardened aluminum alloy and built to be recoil resistant to higher caliber weapons. The streamlined design of this scope looks more like your traditional glass optic providing the ability to use standard 30mm rings, and the ultimate freedom in flexibility with ring height and brand selection. The ATN Thor LT series breaks the price barrier for quality thermal riflescopes for close range engagements. Proving once again that ATN is The Future of Optics! MSRP for the Thor-LT starts at $1,199. For more information on ATN’s new product line offerings, visit www.atncorp.com. Also, visit ATN on Facebook, YouTube & Instagram to stay up-to-date on new products, firmware updates, videos, images and promotions. A: 1341 San Mateo Ave.